Yesterday was full of surprises. 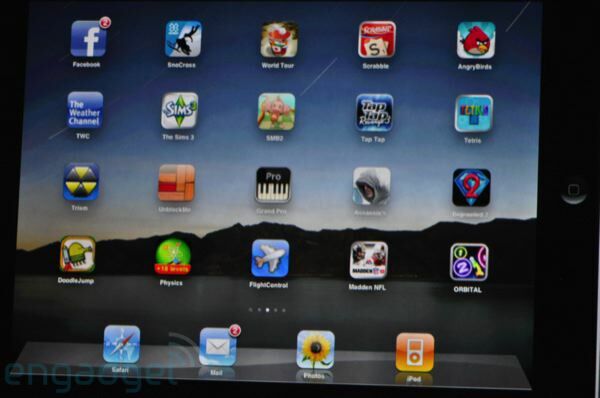 Not because Apple launched the iPad, no, because ORBITAL was installed on the iPad's they had for the Press and on Stage! "We also played Orbital, a fun little physics game that works great on the iPad. The two-player mode let us lay the tablet down on the table and casually poke at it, sending colored spheres into our opponent�s side of the screen. Our foe, Wired�s Chris Kohler, schooled us with his superior skills. Scrabble and Orbital were the two most natural fits for the iPad�s larger screen."